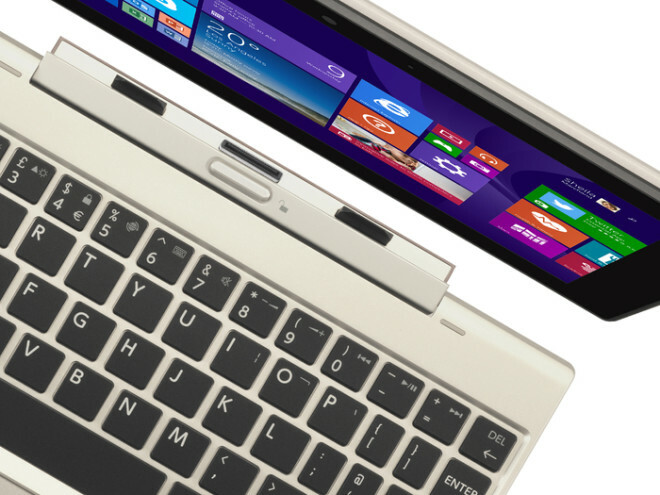 Toshiba released a teaser image ahead of CES 2015 back in December of a totally unknown tablet, and now Toshiba have taken the covers off it and unveiled that tablet, which is the exciting new Toshiba Satellite Click Mini 8.9. 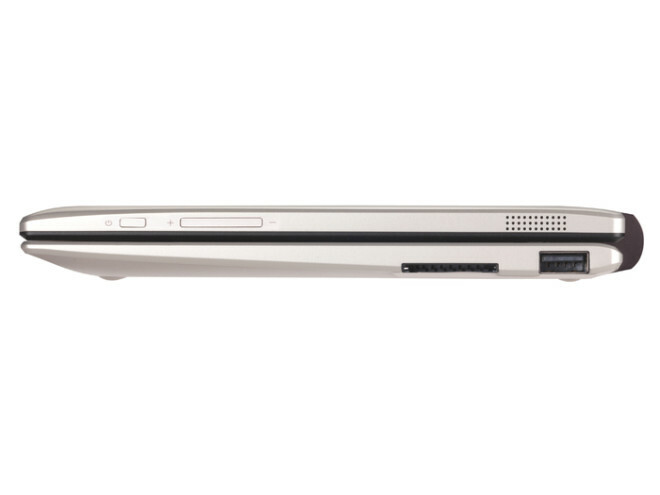 It looks exactly like a shrunken down Asus Transformer Book T100, all the way down to the hinge mechanism. And that’s not a bad thing. 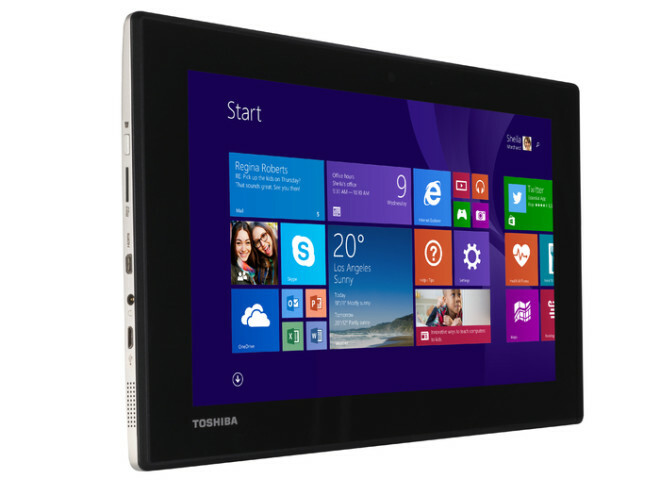 The Toshiba Satellite Click Mini is a 8.9-inch FHD 2-in-1 Windows 8.1 tablet. 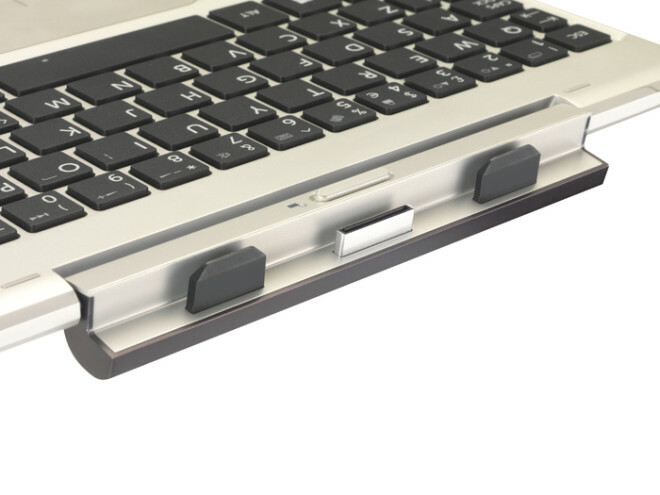 And unlike the 8.9-inch Asus Transformer Book T90 Chi, the keyboard dock is fully attached by a physical locking mechanism, and not magnets like we see on the Chi. 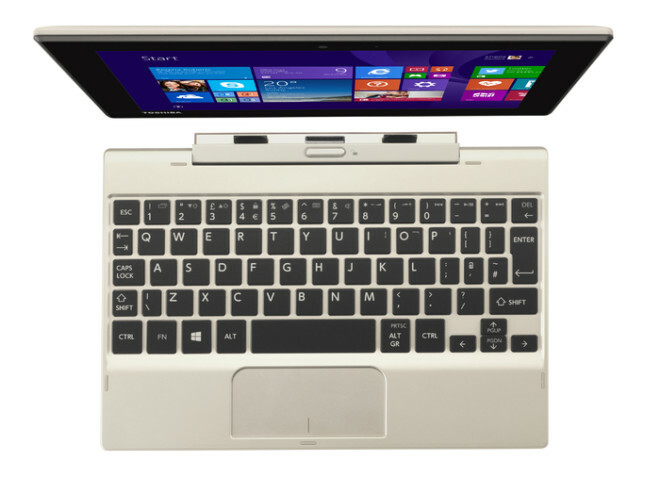 The Toshiba Mini 2-in-1 will become available in Europe during the first quarter this year in white, and in satin gold during the second quarter. 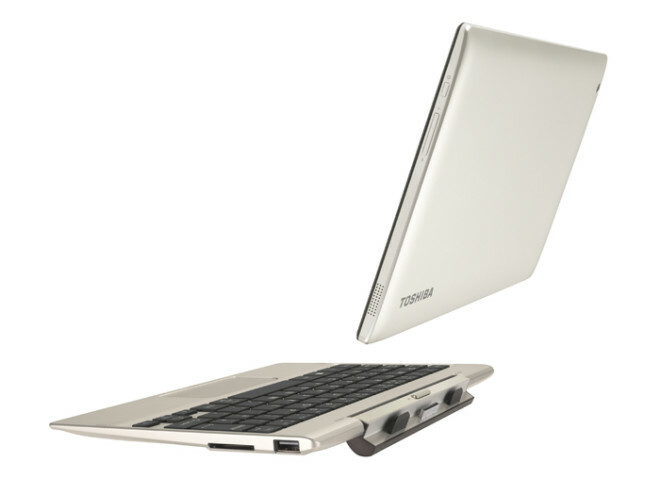 Toshiba Satellite Click Mini has a several things going for it, first of all Windows 8.1, with a 8.9-inch screen featuring Full HD 1920 x 1200 resolution IPS display, a 16 hour battery life, and keyboard dock included, all for a price that is said to not be too frightening. The processor is an Intel Atom Z3735F processor, while the RAM consists of 2GB of DDR3L RAM. Storage is a standard 32GB, though the microSD slot supports expansion to 128GB. Other features are a 2MP front camera, a 5MP rear camera, Dolby Digital Plus stereo speakers, and a regular one year Office 365 Personal subscription. 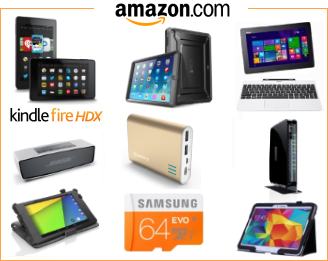 The tablet has a micro-USB 2.0 port, a micro-HDMI port, and audio combo jack, while the keyboard have the addition of a full size USB 2.0 port and a full size SD card slot. 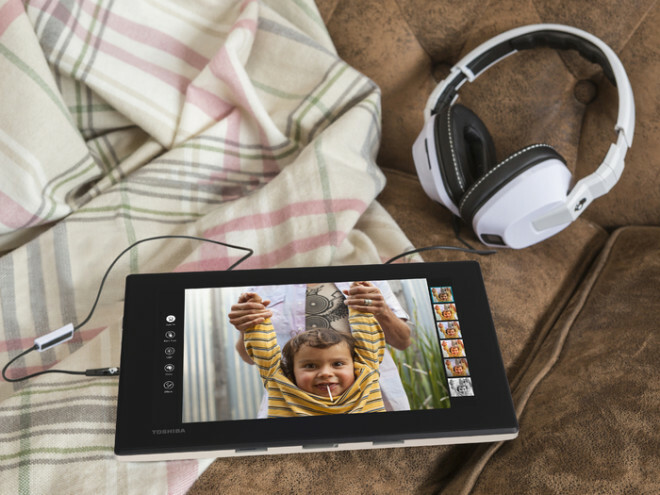 Internet connectivity is assured through 802.11 b/g/n Wi-Fi, and Bluetooth 4.0. The weight is 470 for the tablet, and 529 gram for the keyboard. At the moment Toshiba says that this tablet will become available in Europe first, without saying when, if ever, it will be launched in the US as well.